So I follow this makeup maven, naye0na, on Instagram and she has the most unique and artistic makeup creations. Check her out! Well she uses Inglot eyeliner because it’s super pigmented, waterproof and does well with mono-lidded eyes. I rarely wear liquid eyeliner because my oily crease almost always erases it in a few hours or it’s spreads under my eyes and I look crazy. Even MAC’s waterproof liquid liner doesn’t stay long. However, the Inglot liner lasted longer than the others I previously used. It didn’t smudge everywhere and when I rubbed my eye, didn’t flake off. It’s a keeper! 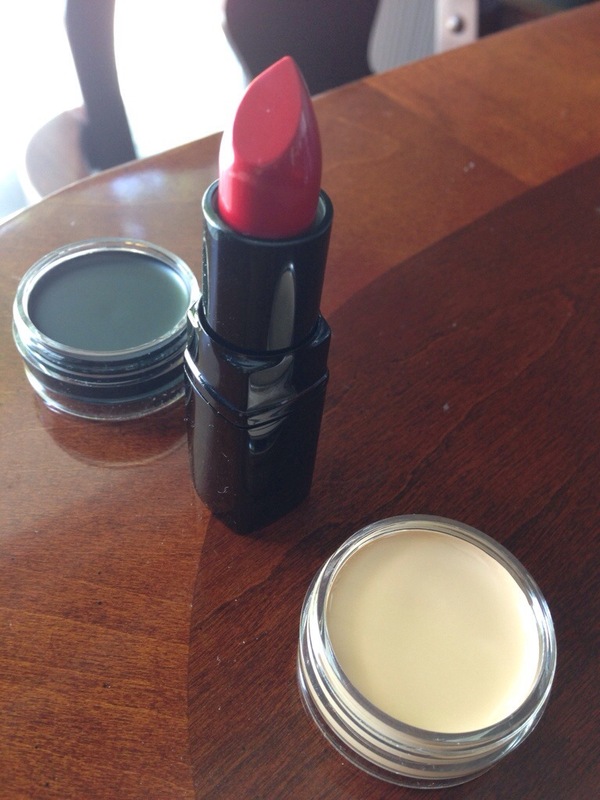 When I went to Beautylish‘s website, they had a bunch of other Inglot items I wanted to try. I bought a concealer that was lighter than I usually wear because I want to play around with contouring. I also bought the Duraline, which is a product that transforms powdered pigment into a liquid medium. Many people seem to use it to refresh gel liners and I bought it for that purpose. I have a brown gel liner by Bobbi Brown that’s dry and cracked that I need to revive. 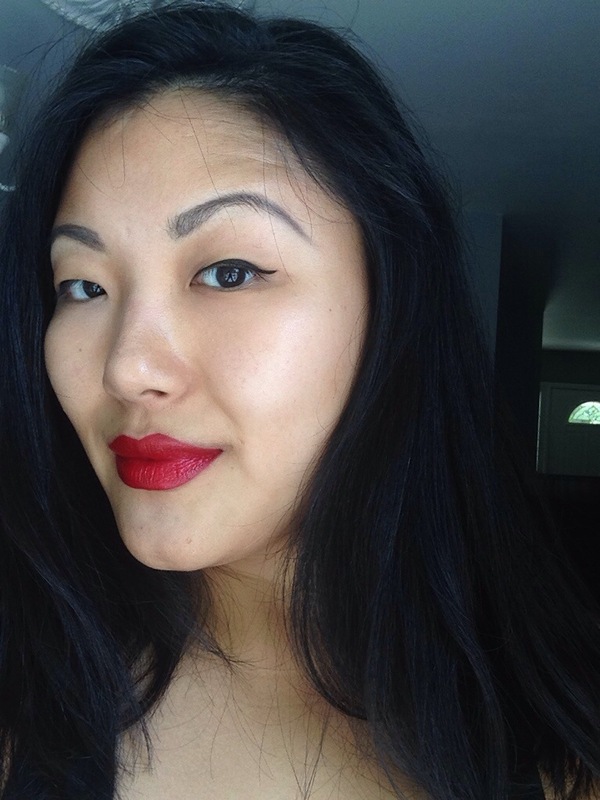 And since I wear red lipstick most days, I had to try out their lipstick. I chose #126. And I really like the color. It’s more glossy so I worried it would feather but with a lip liner, should be okay. I ate a huge banh mi (basically like a hoagie) and while some of it came off, I was able to smudge it around so the color was even again. Guess it has something to do with the viscosity of the lipstick. Overall I’m pleased and want to try a matte color next. 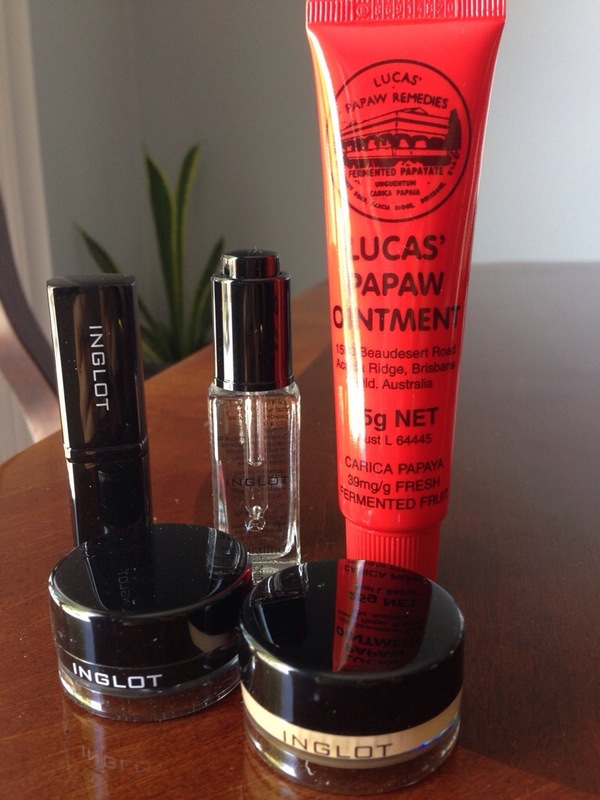 Although this is not an Inglot product, I bought a Lucas’ Papaw Ointment which has fermented papaya in it. It also contains petroleum jelly, which I’m weening myself off of. I wear the Vaseline Lip Therapy which I love but realized I’m ingesting a lot of it. Gross. But I love it 😦 Anyway, this ointment is just okay for my lips. I’ve only tried it twice but maybe it will be good for the other uses listed: boils, burns, chafing, cuts, cracked skin, gravel rash, splinters, open wounds, insect bites and nappy rash. I don’t know some those things listed (go figure, it’s an Australian brand) but probably good for an overall ointment to have around.